The Fight between Amazon and Antitrust Law - Will It Ever Happen? There has been plenty of controversy surrounding Amazon and antitrust violations in the past few years. It seems that every time Amazon announces its presence in a new industry, nearly every company's stock within that industry is sold off within minutes. Take Amazon's most recent acquisition of Whole Foods, for example. Grocers in the past three years or so have been struggling to keep up with the declining margins throughout the industry. 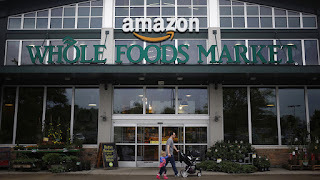 The major Amazon-Whole Foods deal caused grocers such as Costco, Kroger, and Walmart to lose billions in market value. On the day that the acquisition was announced, Kroger dropped 11%, while Costco and Walmart dropped nearly 6% each. Meanwhile, while grocers lost market value from the Amazon announcement, Amazon gained over $16 billion in market value when it announced the acquisition. This is extremely important, since the value of the deal was $13.7 billion. Essentially, Amazon bought Whole Foods for nothing; the company was rewarded by investors for announcing the acquisition. Normally when a company offers to buy another company, we see the immediate price decline due to the cost of the acquisition. Over time, the acquisition is expected to increase the value of the purchasing firm. Rarely do we see a company immediately gain this much in value after paying billions for another company. 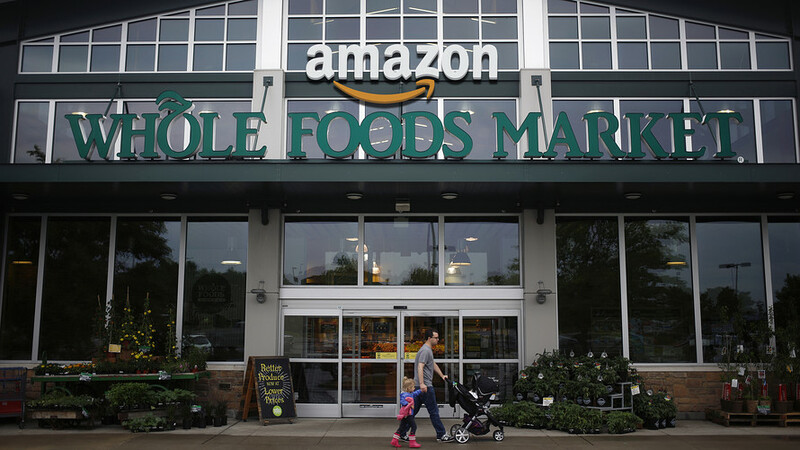 Investors expect Amazon to integrate Whole Foods into the core business on a massive scale as consumers begin to order groceries through an online service. According to Cowen and Company, nearly 12% of consumers purchased groceries online in some way. This trend will surely continue, thanks to the Amazon-Whole Foods deal. Consumers will certainly benefit from the logistical side of this deal: Amazon expects to merge Prime benefits with Whole Foods products. This includes discounts on groceries and rewards program for Whole Foods shoppers with Prime memberships. In a way, this makes it seem as if Amazon is becoming a world-renowned, Internet-based wholesale club. The problem here is the extent to which Amazon can purchase companies without violating antitrust law. Although Amazon does not have any grocery business, the Whole Foods acquisition could lead consumers to buy even more non-grocery products by directly visiting the Amazon website. Google is already hurting from this Amazon phenomenon, since many shoppers use Google as a comparative shopping site. As Amazon acquires new companies in new industries, more and more consumers will visit Amazon directly. According to the market research firm BloomReach, 55% of consumers began their search directly on Amazon in 2016 compared to 2015. Although this promotes competition against Google and Facebook, it still threatens competition for retailers across all industries. Google does not sell products in the way that other retailers do. Google makes money advertising other retailers' products on their Google Shopping site. Facebook works similarly as companies purchase ads that target specific consumers based on their interests, demographics, etc. As consumers switch from Google to Amazon for product searches, advertising revenue will decline for Google. Similarly, if the attention continues to relocate to Amazon, Facebook might suffer. While scrolling through Facebook, you will notice that many products that are advertised are sold on Amazon. If consumers search for items on Amazon, there is no sense in advertising on Facebook when retailers could both advertise and sell their products on Amazon. This is where antitrust law becomes important. I will refer back to where I mentioned Amazon's announcements to compete with companies in different industries. Take the auto parts industry, for example. When Amazon announced its expansion into selling auto parts on Amazon, shares of Autozone, O'Reilly Auto Parts, and Advance Auto Parts dropped more than 5% each after the announcement. These stocks have been on the decline since the announcement. Amazon has a reputation for low prices for virtually all products, which scares investors when Amazon announces expansion into a new industry. The logistics behind Amazon's business also cause problems for other retailers that do not have the infrastructure to deliver products as fast as Amazon. While Amazon obviously hasn't made major acquisitions (yet) in every new industry in which it plans to compete, the Whole Foods deal may be the beginning of this phenomenon. The Clayton Act of 1914 was introduced for this very reason. The law mandates antitrust regulators to block acquisitions where "the effect... may be substantially to lessen competition." The Whole Foods purchase gives Amazon the freedom to operate the company in a new fashion: low prices. Anyone that has shopped at Whole Foods will laugh when they hear the phrases "Whole Foods" and "low prices" in the same sentence. Amazon already announced today that many products will see large discounts, some even as high as 43% (https://www.bloomberg.com/news/articles/2017-08-28/amazon-cuts-prices-at-whole-foods-as-much-as-50-on-first-day). If Amazon continues to reduce prices dramatically lower than its competitors, consumers may have no choice but to shop at Whole Foods. Whole Foods already has a loyal customer base despite its high priced products. If prices are reduced on enough items, shoppers may decide to visit Whole Foods for most or all of their grocery needs. Amazon will also provide benefits through its $99 annual Amazon Prime service, which could further entice consumers to shop for non-grocery products on Amazon. If we learned anything in economics, we know that predatory pricing is a major factor in antitrust law. Predatory pricing involves massive price reductions that undercut the competition's prices, even if it means that the price-reducing firm is losing money in the short-run. The firm hopes that, in reducing prices below competitors' prices, it will be able to squeeze the competition and drive competitors out of business. The smaller companies face serious consequences from these actions, as the Amazon effect has already proven. Small companies cannot possibly compete with such a large operation. 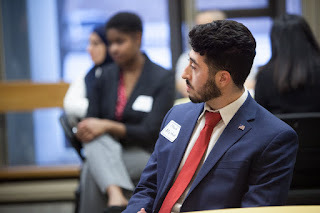 As the larger firm becomes larger and drive small competitors out of business, the larger firm essentially creates a monopoly and has the right to name its price on its products. In the short-term, consumers may think that lower prices are beneficial. However, the long-term effects are disastrous due to the lack of competition. This is why it is important to distinguish where the line should be drawn on Amazon's monstrous reach into nearly every consumer-dependent industry of the economy. The FTC was quick to approve this deal, which worries me as to whether or not Amazon will face antitrust violations in the near future. By the time Amazon is hit with antitrust violations, it may be too late.